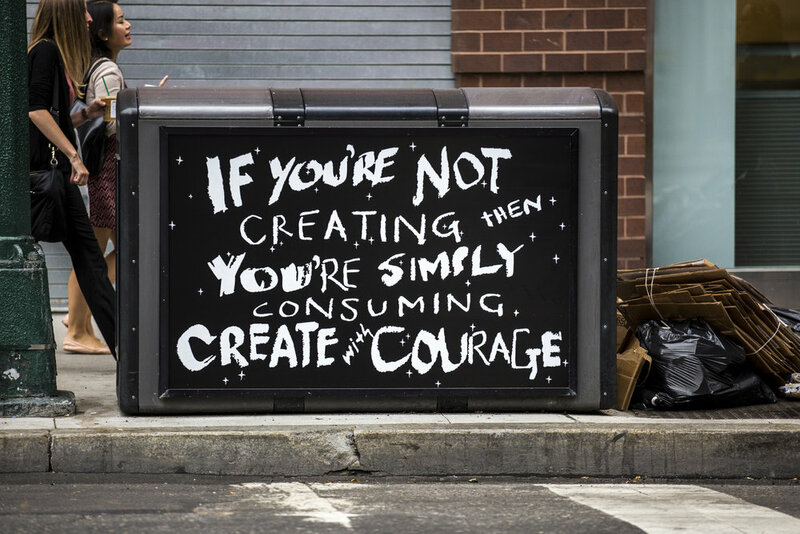 Originally created from felt by renowned female international artists and writers in collaboration with female refugee seamstresses, the Word on the Street banners were reprinted on vinyl and installed in 55 locations throughout Time Square, NYC. 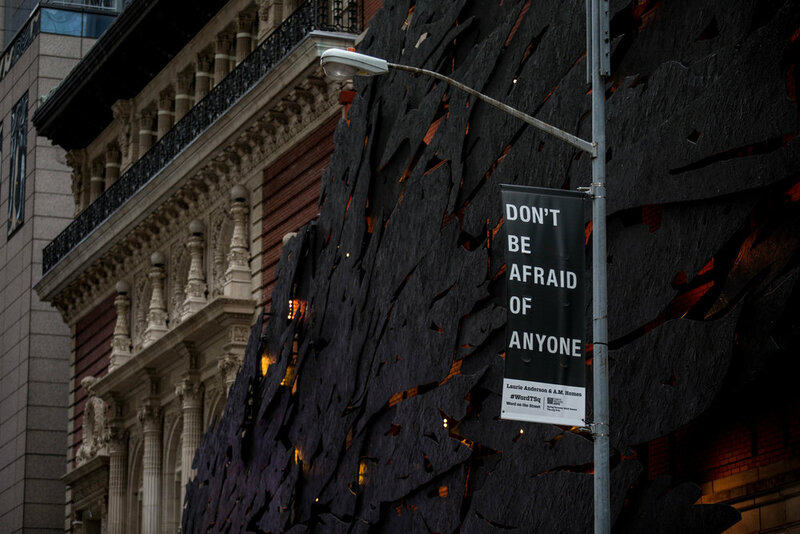 Artists and writers include Anne Carson + Amy Khoshbin, Carrie Mae Weems, Wangechi Mutu, Jenny Holzer, Laurie Anderson, A.M.Homes, Tania Bruguera, Naomi Shihab Nye, and HOT Collective. 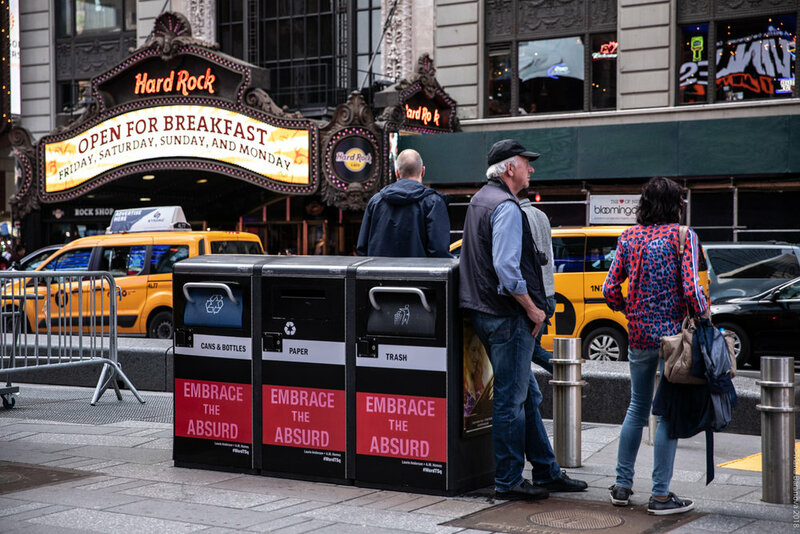 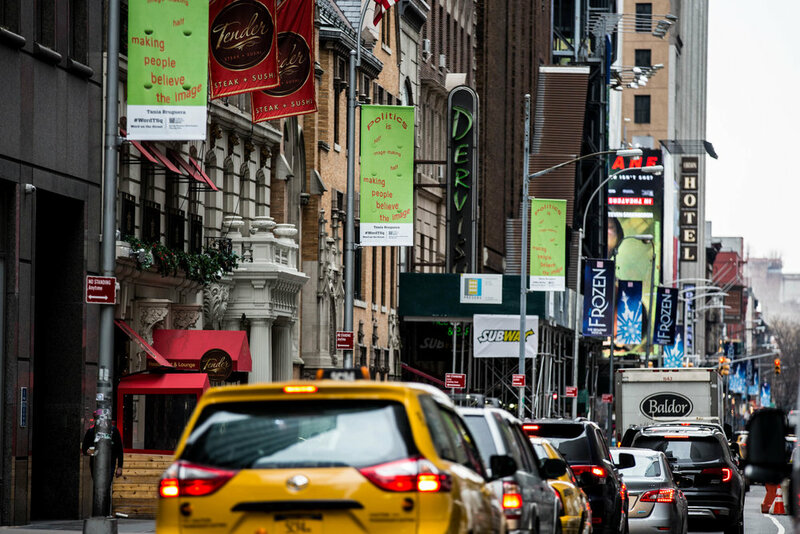 Commissioned by Times Square Arts, the exhibition was mounted in the fall 2017, and again in the spring 2018, on street poles and Bigbelly solar-powered recycling stations throughout Times Square, subverting advertising space with the language of resistance.